The first new songs from Durand Jones & The Indications in a couple years! 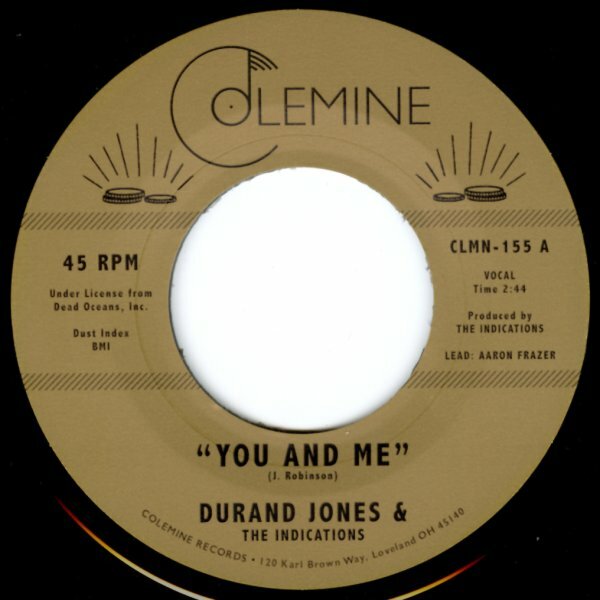 "You & Me" kicks off with a raw soul guitar before the sweet vocals, deft harmonies and drums kick in and it settles into a natural deep soul gem reminiscient of some of the great rare indie soul singles of the late 60s & early 70s – and we're lucky to have in a contemporary group! "Put A Smile On My Face" might be even better, another raw but tender soul tune with a lean vibe, this one with a prominent organ groove. Durand's win streak continues! © 1996-2019, Dusty Groove, Inc.